THPBlog: Fruit Growers Supply Company to log adjacent to Burney, CA. Fruit Growers Supply Company to log adjacent to Burney, CA. This THP is a mile SE of Burney, CA and Highway 299 at an elevation of 3,800 to 5,800 feet. 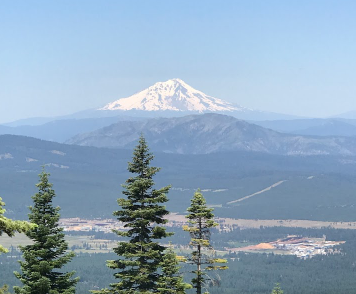 Fruit Growers Supply Company is planning a sanitation salvage and commercial thinning tractor based logging operation in white fir, Douglas fir, ponderosa pine, sugar pine and incense cedar forests. The THP area flows into the Pit River which is listed as an impaired watershed for temperature, dissolved oxygen, nutrients, and organic enrichment. There is a goshawk territory in section 7, approximately 1.5 miles SW of the THP area, and osprey was reported at Burney Creek 1 mile west of the THP area. Susanville milkvetch was reported in sections 27, 28, 33 and 34, and Diamond clarkia was found in the northern portion of the THP area.